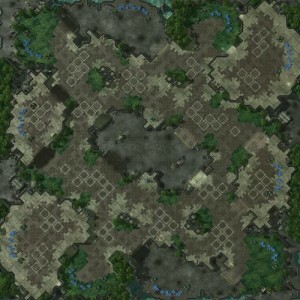 Our main goal for the Map Pool was to keep it simple and familiar, so we’ve decided to stick to the Blizzard Map Pool. Most balance issues concerning close spawns and gold bases (e.g. MULE nerf) have been fixed, so we believe these maps will provide an excellent and fair battle ground for our competitors! In group stage A, the first map of any match is Tal’darim Altar LE. Of all the Blizzard maps this one has the most balanced winrates in the Team Liquid Progaming Database (TLPD). In group stage B, the first map of each series will be Antiga Shipyard. For the next games of the match the loser of the previous map may pick the next one. The only restriction is that a map may not be played more than once in a series, so you can’t pick a map that you’ve already played on. 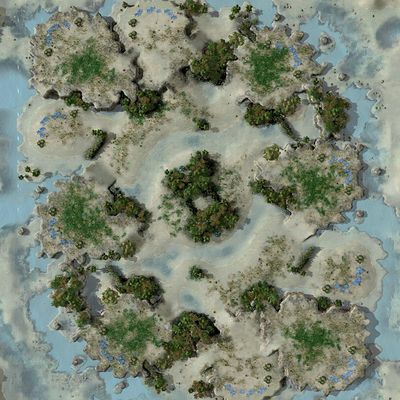 Starting with the round of 16, the mappool will be updated to reflect Blizzard’s latest ladder map pool: Cloud Kingdom LE, Daybreak LE, Korhal Compound LE, Ohana LE, Entombed Valley, Antiga Shipyard, Metalopolis, Shakuras Plateau & Tal’Darim Altar LE. The way the first map is chosen will also change: the players take turns to vote off a map, until only one map is left. 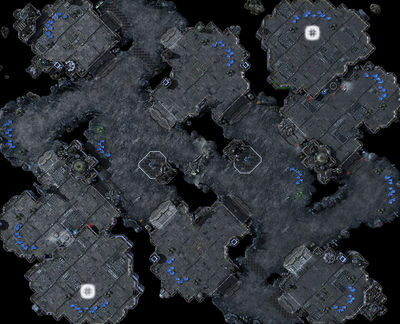 That will be the starting map for the match, after which the loser picks the next map (just like before). Which player may vote off a map first is determined at random. We hope this’ll bring some more diversity to our battlegrounds! And it’s as simple as that! In the tabs below you will find all of the maps from the NSSL Map Pool. Click on any map to jump to its Liquipedia-page. Tal’darim Altar LE – This is the first map to be played in the matches in group stage A.
Blizzard description: There are two easily defendable expansions in front of your main base. There are multiple paths to navigate around the center, so make use of the Watch Towers. 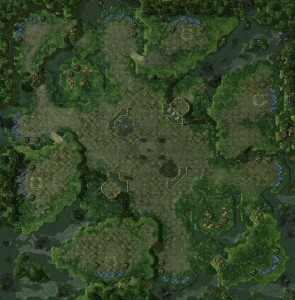 Antiga Shipyard – The starting map for all matches in group stage B.
Blizzard description: Taking the correct 2nd expansion is the main difference on this map. Choose between the safer, high ground normal expansion or the more dangerous but more rewarding high yield expansion. Blizzard description: Your base is easily defended but nearby resources are harder to protect. Watch Towers observe the main paths across the map. Additional resources are challenging to hold in the middle of the map. Blizzard description: Expand outward from your base taking your close easily defendable expansions, but watch out for the center Xel’Naga Watchtower as it watches over most of the center paths. Blizzard description: Formerly a Korhal military training ground, it has now become a warzone in iteself. Use the Xel’Naga towers to your advantage to defeat your foes! Blizzard description: Your first expansion is easy to defend, but additional expansions push you farther into the battlefield. One central path to your enemy. Destroy rocks to open surprise attack routes. Blizzard description: Your base is easy to defend with easily defended additional resources. A Watch Tower overlooks the central battlefield. Destroy rocks to reveal alternative attack paths and additional resources. Blizzard description: Made by SUPEROUMAN, member of the Esports Vision (EVS) Map-Making Team.